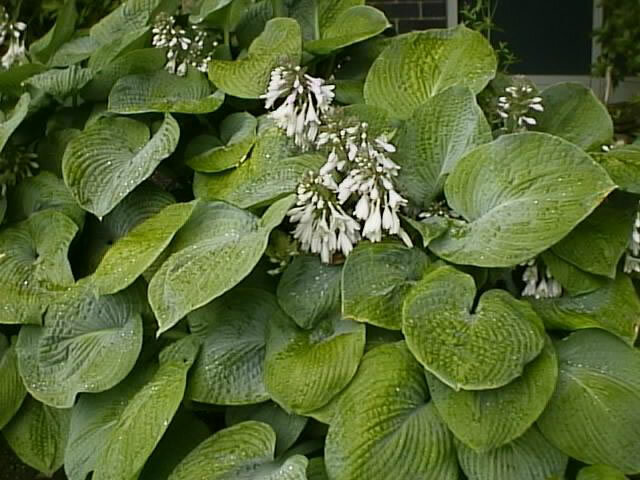 The Hosta, or Plantain Lily is a very useful, long lived perennial for the shade garden. sometimes fragrant flowers which appear later in summer. 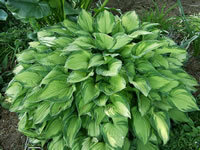 Hosta leaves come in a broad range of solid and bi-colors, from blue to green or gold. The most common leaf shape is heartlike, but some varieties have narrow, straplike leaves. 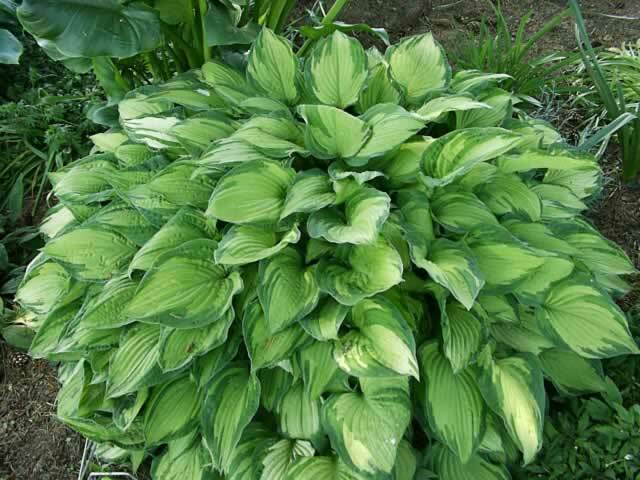 There are few perennials that are as easy to grow as Hostas... but you must remember a few basic rules. Hostas thrive in filtered shade like you would find in their natural habitat... the forest floor. but these types are better off with morning sun than hot afternoon sun. proportionate to the brightness of the lighting. Hosta plants should be grown in well-drained, rich organic soils. They will tolerate a wide range of soil pH, but prefer slightly acidic soil (pH 6.5). benefit from some winter protection by mulching. they can be easily transplanted in the spring. Hostas can be grown from seed which can be sown directly in the garden in spring or early summer or they can be started indoors at 70°. They can also be propagated by dividing mature clumps. 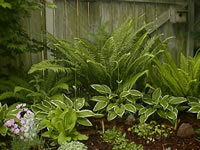 The best time is to divide Hostas is in early spring, when the new growth has just begun to show. Large clumps can be cut into quarters using a sharp, straight edged shovel, a large knife or even an axe. 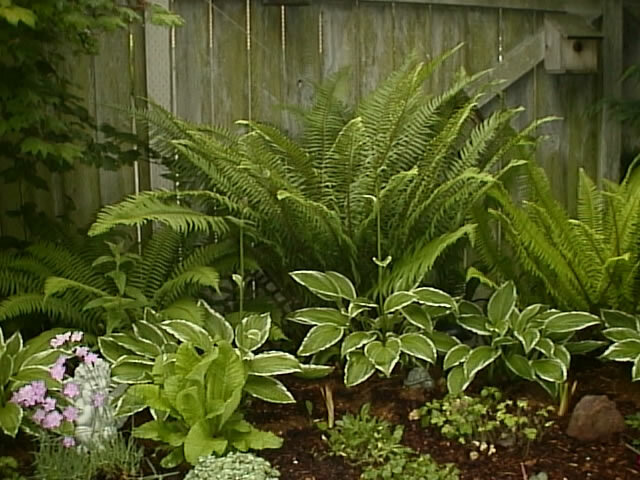 To divide smaller Hostas, dig up the clump and shake off most of the soil. Pull the rhizomes apart or separate them with a sharp knife, making sure each division has a good cluster of leaves and plenty of roots. because each summer will see your specimens grow larger and better. Slugs and snails consider this plant a great delicacy. Be sure to take steps to protect your Hosta from these creatures.